Beyblades have been a thing for kids for three generations of the anime already. 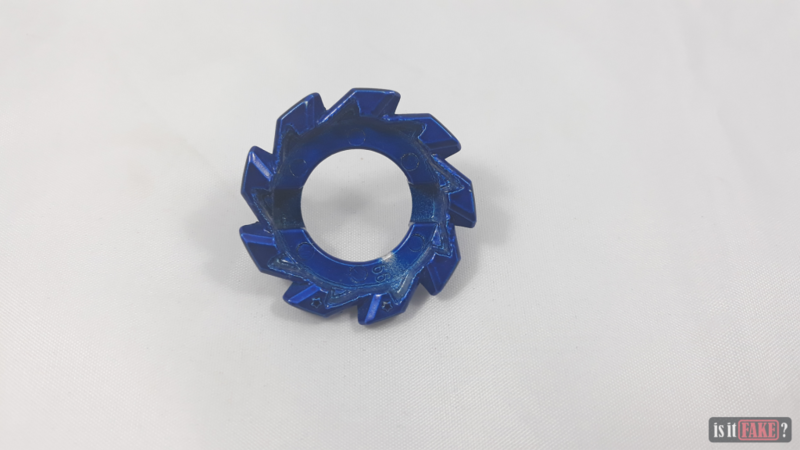 It’s been a solid 20 years of jam-packed, friction-driven action with these toys and we couldn’t get enough of the thrill of winning a beyblade fight even as a grown-up. 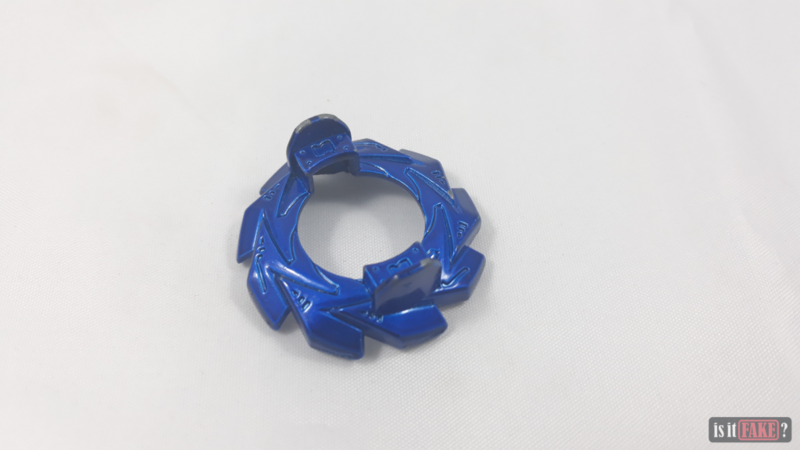 Beyblades have adjusted their systems throughout the years and finally, the Burst System, introduced in Beyblade Burst, gives them the edge among different toys. 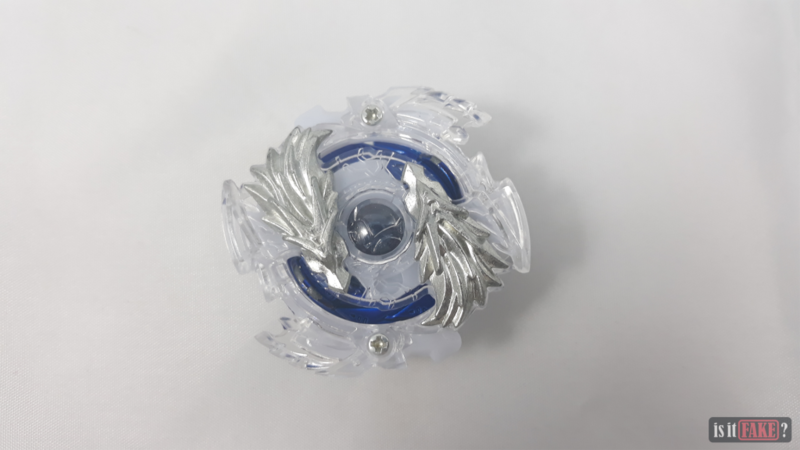 With this, beyblades are now capable of bursting into pieces after taking significant amount of hits which adds more to the action in that effect. More variety of stadiums have also been created in this new generation of beyblades and going out-of-bounds has become a thing of the past. There’s no doubt that the transformation of beyblades over time made them even more popular. And who would even take this opportunity if none other than bootlegged beyblades that infiltrate online shopping websites. Now that there’s a Burst System, how much more destructible could these fakes be? 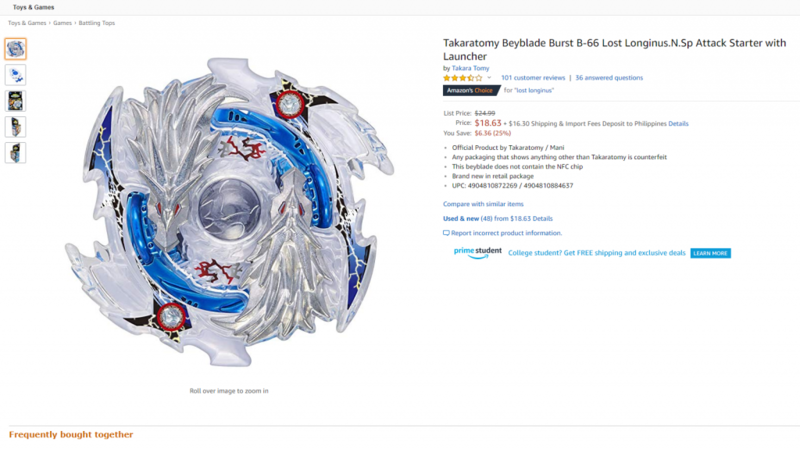 Branded toys as popular as beyblades are sold mostly on popular shopping websites. As much as it’s frightening, fake toys are as rampant on websites like Amazon, eBay, and even Walmart. 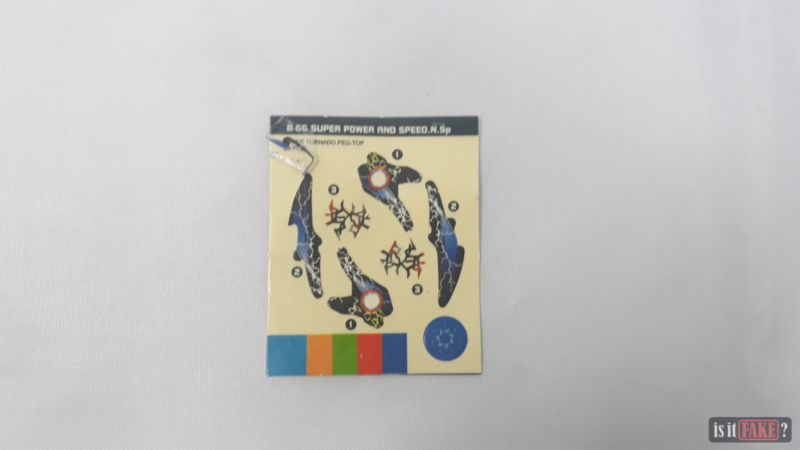 These fakes pose a threat to children because of their cheap material composition. 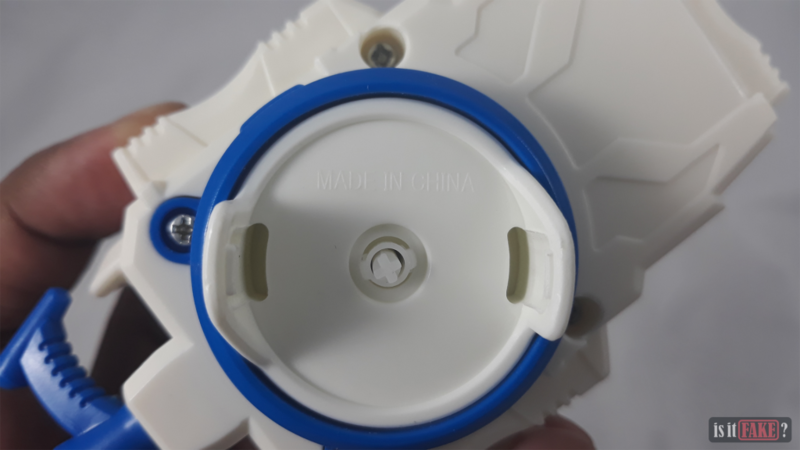 Needless to say, there’s little to no difference when it comes to beyblades sold on AliExpress. When vendors such as Classic toy 007 Store come up with such names, it’s a definite classic – for a store that sells fakes that is! Who wouldn’t even recognize the James Bond reference used in this idea. 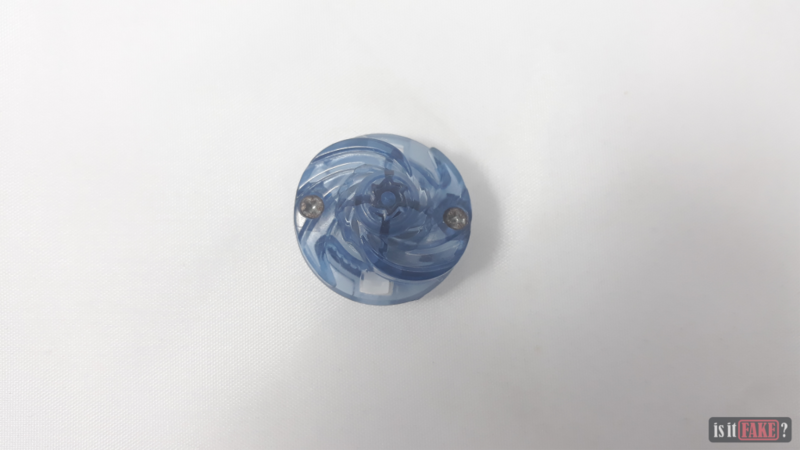 Perhaps, it could pair up well with a store that sells toy guns but getting into beyblades could mean they’re also involved in some shady business as well. 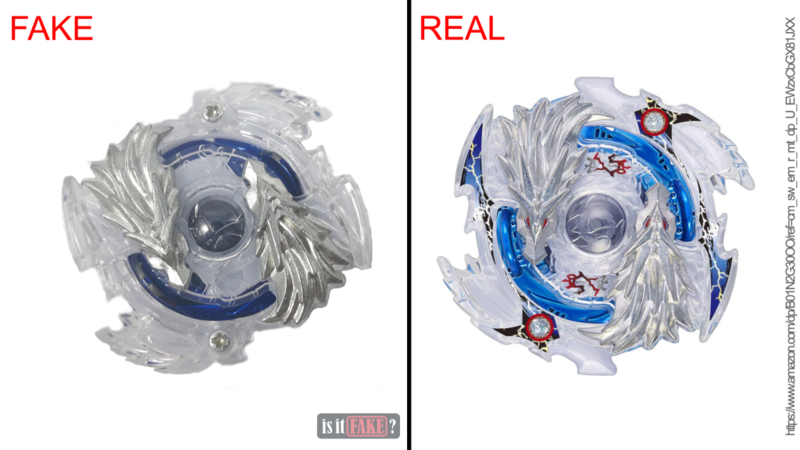 These counterfeiters are busy distributing fake beyblades such as the fake Beyblade Burst: Lost Longinus Nine Spiral. 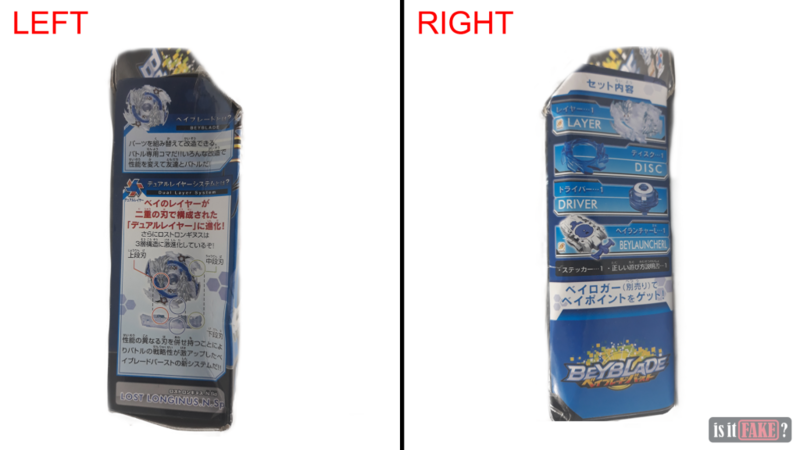 It’s truly disappointing because these mock-ups discredit the authorized manufacturers, Takara Tomy and Hasbro, who go through the trouble of coming up with new ideas for authentic beyblades. Hence, as fans of this awesome toy, we lay down all the cards the fake Lost Longinus has to show that knock-offs are utterly inferior! The fake Lost Longinus .N.Sp. came with what looks like a substandard packaging. By substandard, it means that the packaging wasn’t well taken care of as it’s already bent and crumpled from every side. 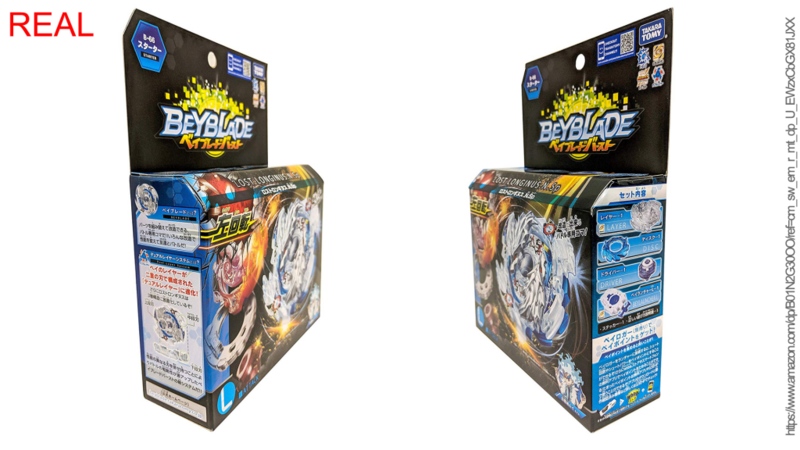 Though admittedly, authentic beyblade packaging may be in such condition as some online shopping websites indicate it. 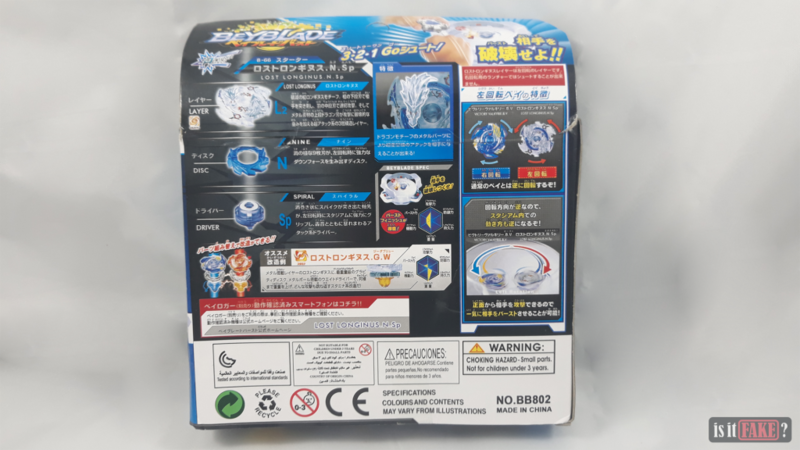 The packaging does feel like an authentic beyblade box because of its sturdy build and a cover with specifications in Japanese that’s giving a hint that this beyblade was probably made by Takara Tomy. But we have never been so wrong as looking through each detail closely will reveal the fake box’s flaws. For one, the fake Lost Longinus box’s cover image is noticeably in low resolution. The images at the back are also blurry. 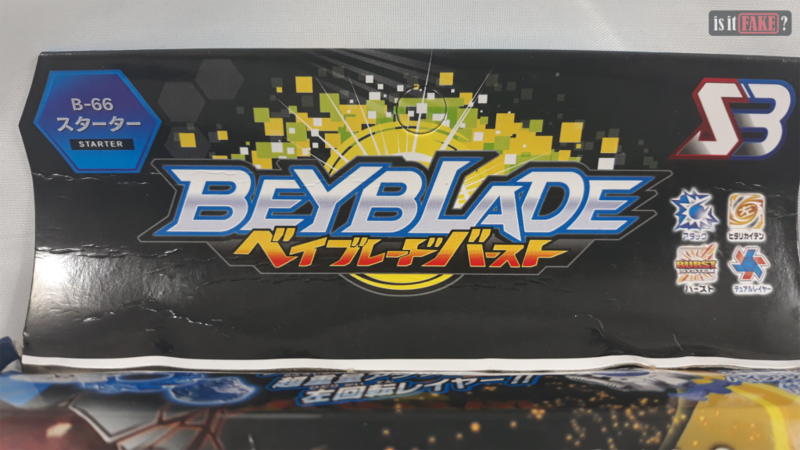 Though yes, the Beyblade logo is intact but there’s no trace of Takara Tomy nor Hasbro’s logos on the box. 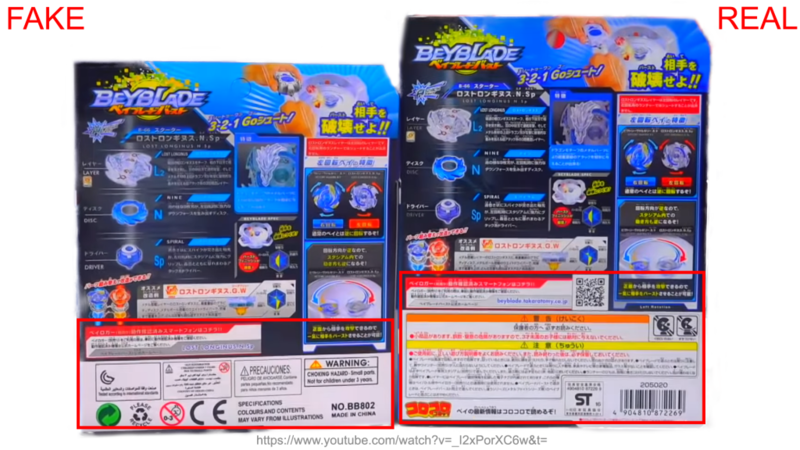 What’s confusing with the packaging is that it did get some details correct like the product code, the owner of the beyblade in the anime, and most specifications found in the back. 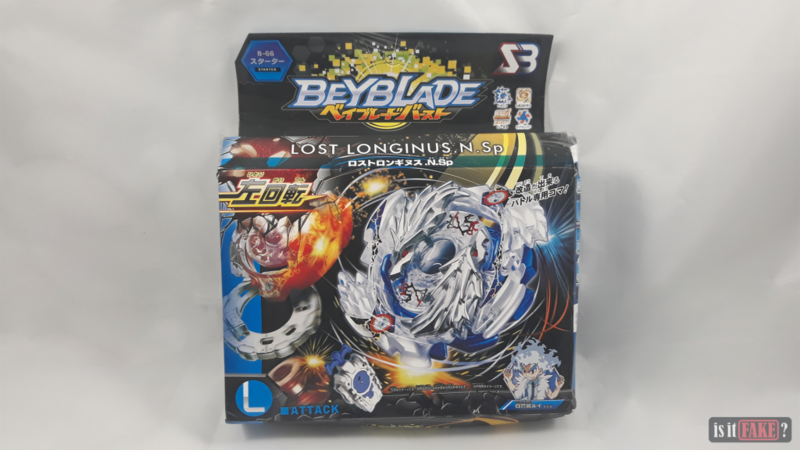 As similar as it is with the authentic Lost Longinus .N.Sp’s box, there’s no doubt that this notorious fake is looking to trick many beyblade fans. Putting the fake Lost Longinus’ packaging aside, we put out the components out of the box and got the plastic-wrapped fake Lost Longinus .N.Sp. 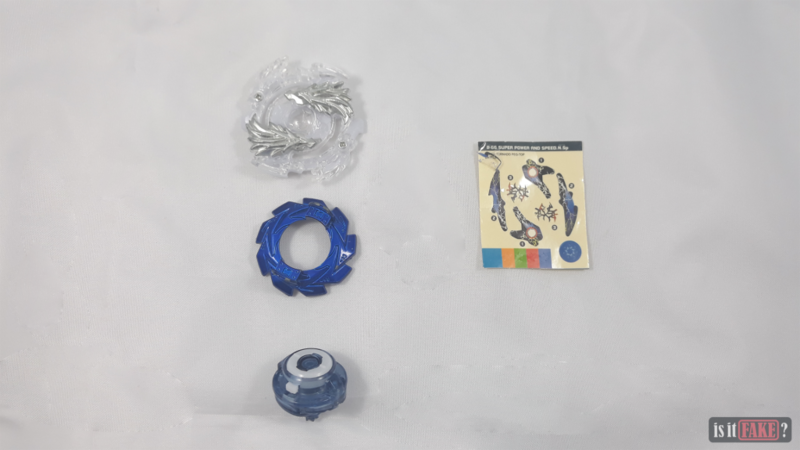 parts and a left-spin beyblade launcher. Unfortunately, there isn’t any instruction sheet that’s included which is common to many fakes. 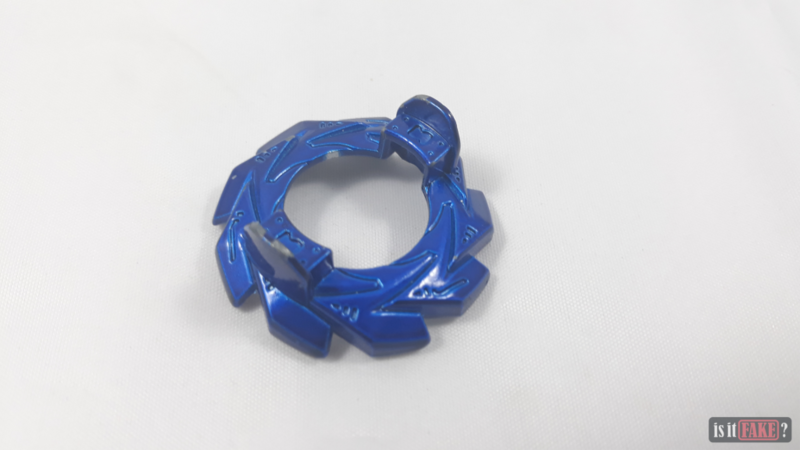 Each beyblade has their own edge into winning a battle. 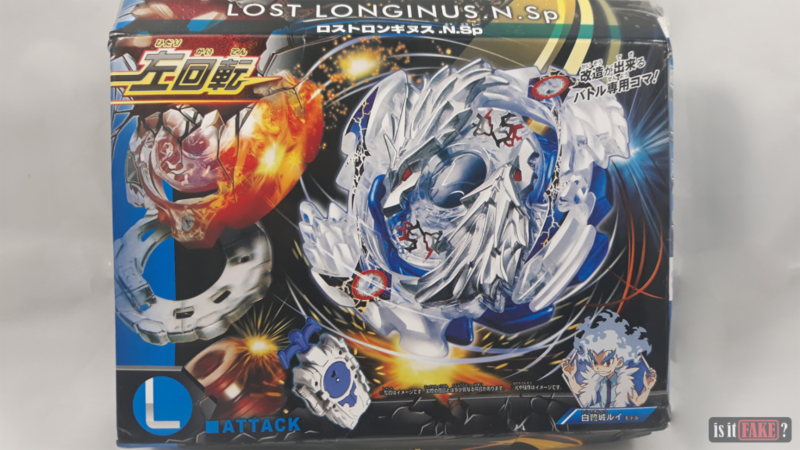 In the case of the Lost Longinus .N.Sp., one of its strengths is that it spins counter-clockwise aiming to crash into other beyblades in the arena on its way to victory. Surprisingly, the launcher of the fake Lost Longinus does the same mechanic. The fake launcher’s similar qualities to the authentic is truly deceiving but what gives away its flaw is its dirty-looking white color. On top of that, the string, when pulled, makes an annoying squeaking sound that may hinder a smooth beyblade launch. 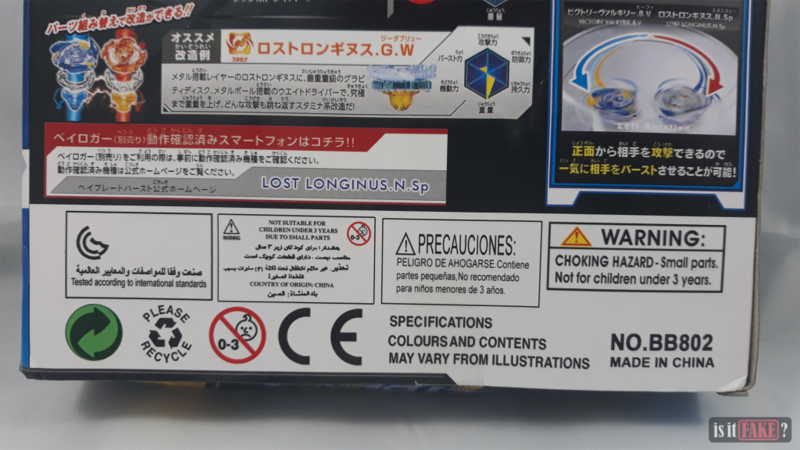 Suspiciously, the fake launcher’s rotator has an engraving that says, “Made in China,” which doesn’t sound appealing especially after seeing the fake Lost Longinus’ dilapidated packaging. 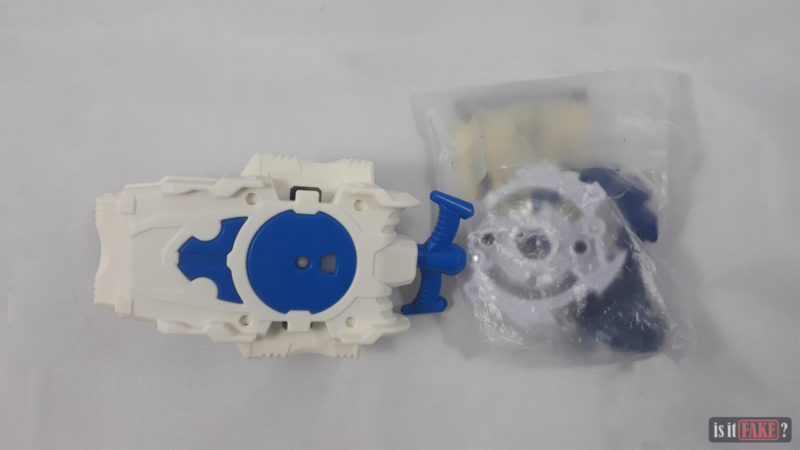 Moving on to the fake beyblade itself, we got the complete components including the stickers for the fake Lost Longinus. 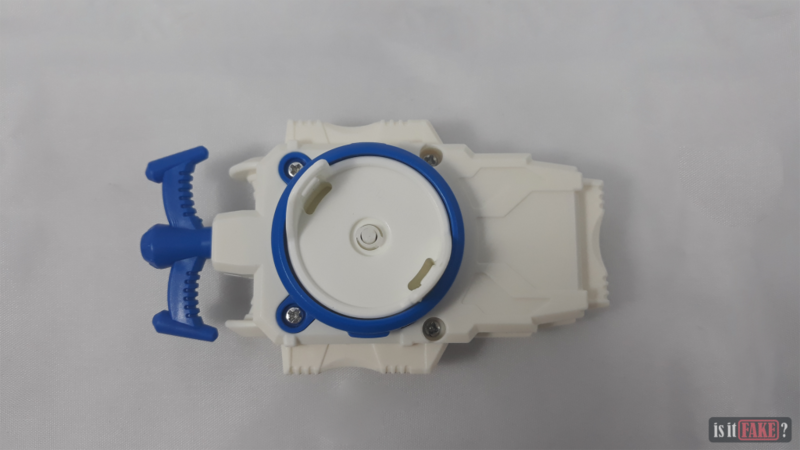 With a relief, the components are attachable to assemble the beyblade completely. 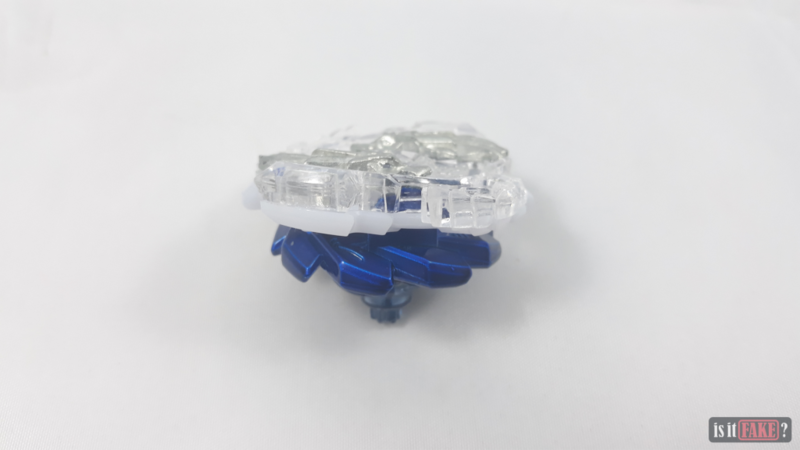 However, once assembled, the fake beyblade’s disk wobbles as if it isn’t sturdy enough to withstand a lot of hits from other beyblades. Looking closely, the stickers are indeed for the fake since they are unevenly cut. Though the fake Lost Longinus had almost perfectly copied the iconic dragon badges on its layer, it’s noticeable that the eyes lack their red color. If you think those are the only flaws, you’ll be surprised once you see several scratches on its disk and underneath it is a messy paint job. 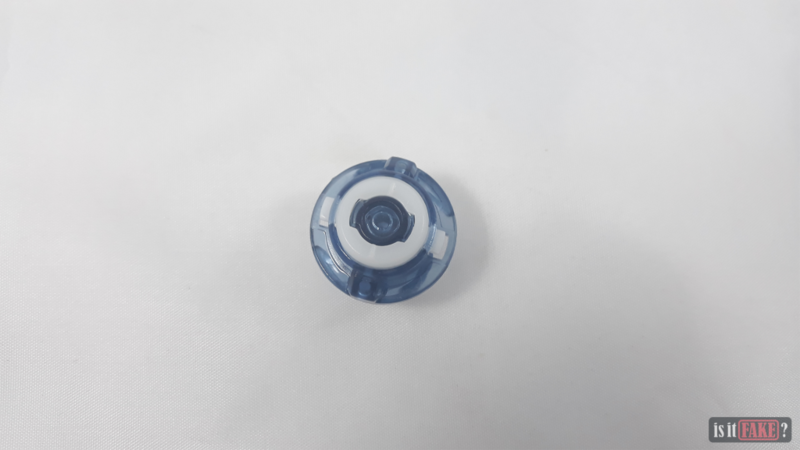 Lastly, irritably rusty screws are found on its driver and it’s completely unknown how that happened when the fake beyblade was just sitting inside its box. 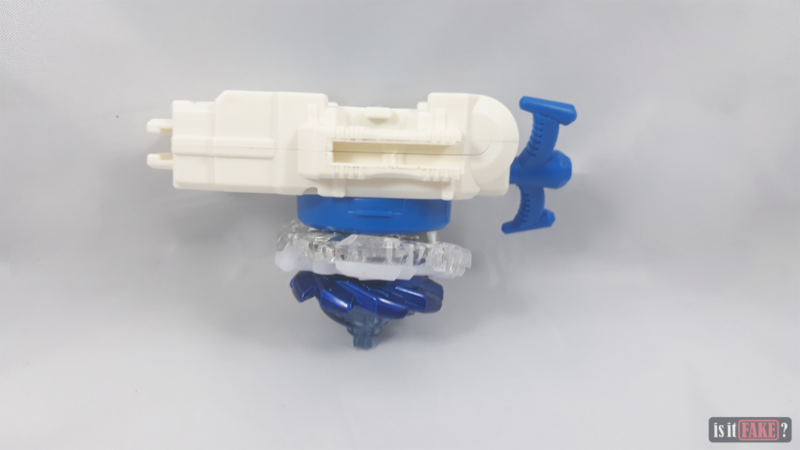 On the other hand, its performance comes upright as it spins counter-clockwise, as it should be, though it doesn’t seem to come intact with the launcher properly. There’s just less grip between the rotator and the beyblade. 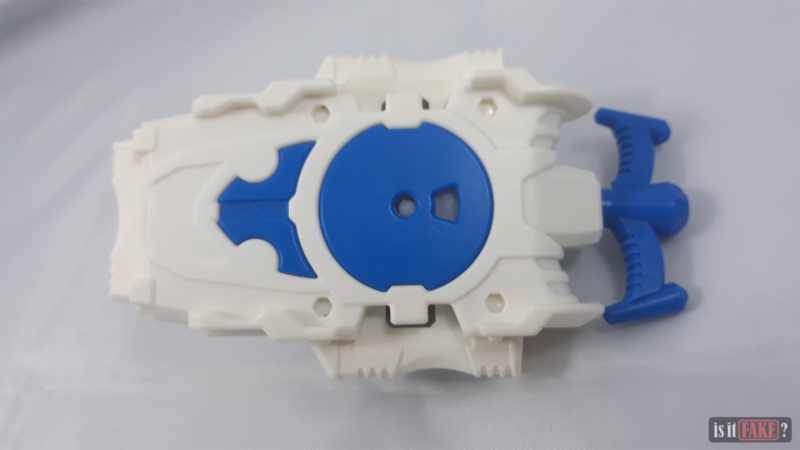 The rotator also gets stuck to the beyblade on some occasion as it just badly matches the launcher. The flaws are clearly visible once we had put the fake beyblade beside the authentic Lost Longinus .N.Sp. 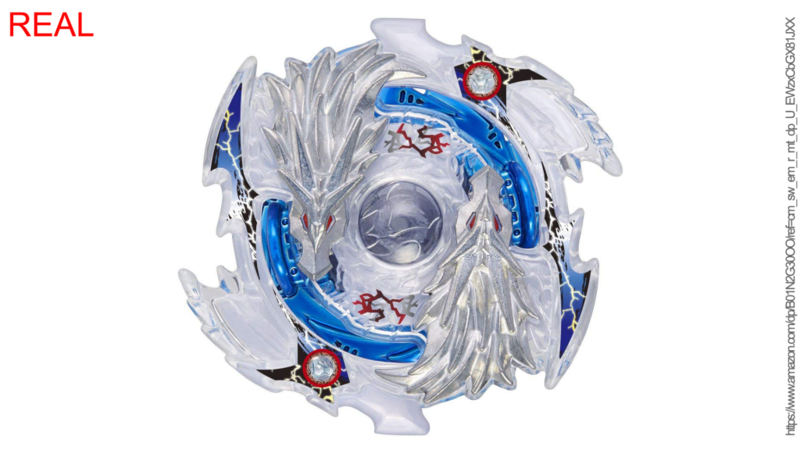 The launcher’s clean white, the metal dragon badges got red eyes, and the disk has a gunmetal blue finish. 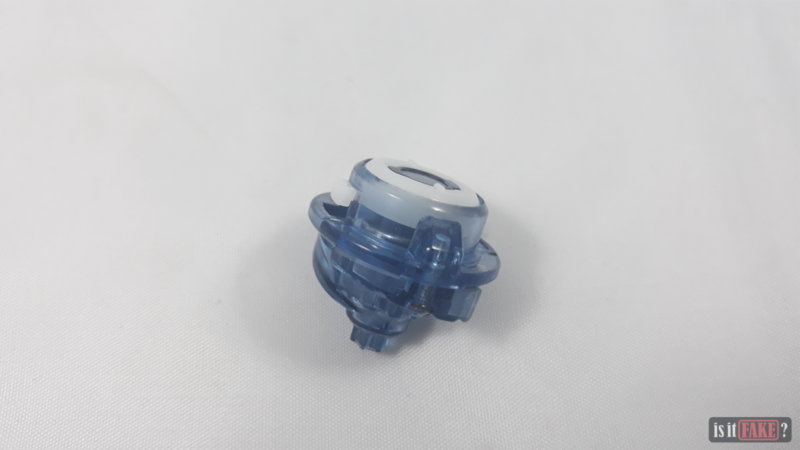 The authentic beyblade’s truly got a sturdy build unlike the cheap knock-off. Though, it’s as expected of authentic toys. They deliver as much according to our enjoyment. And what’s more thrilling about beyblades is that they’re competitive. Held annually, the Beyblade Burst World Championship showcases a battle among bladers from different countries. To enter such grand competition doesn’t only take a relative amount of skill but one should also own an authentic Beyblade Burst. 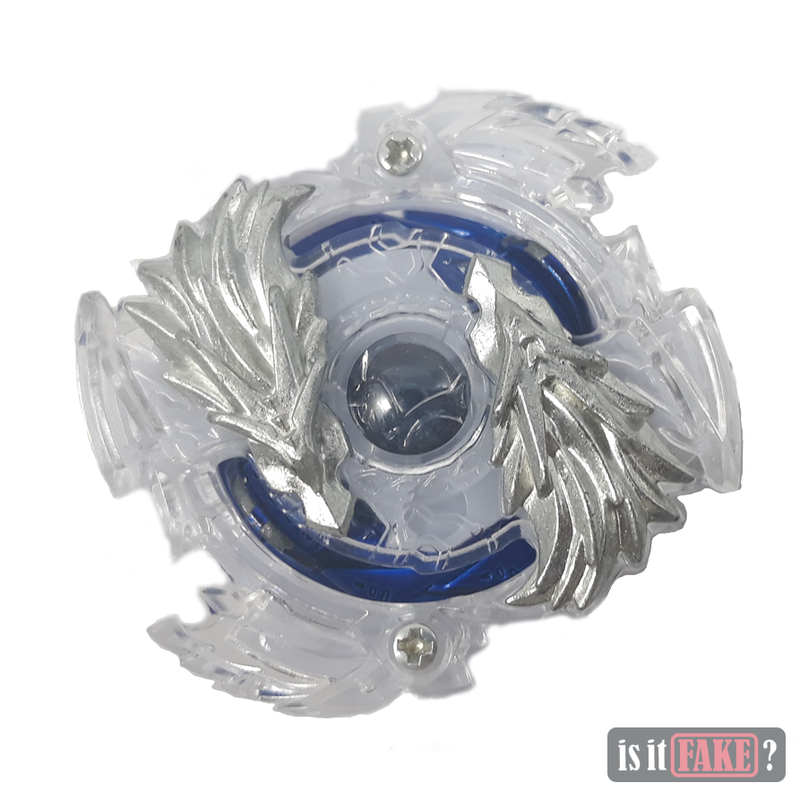 Needless to say, fake beyblades are irrelevant and if used in an official competition, it would mean a disqualification for that player. 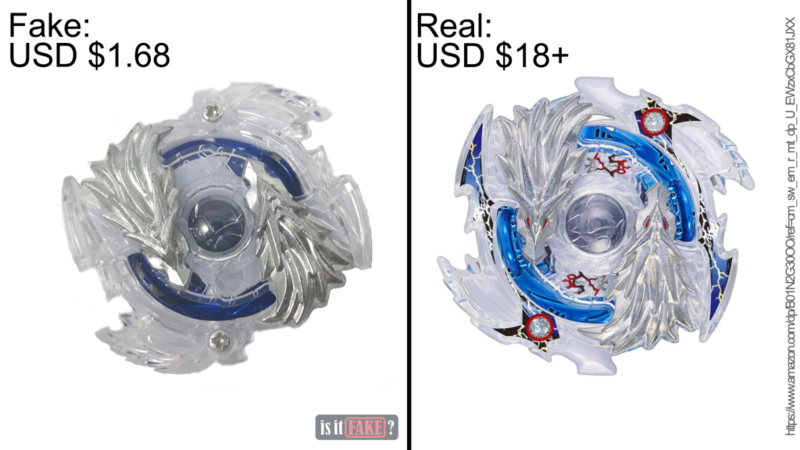 The prices of authentic beyblade are affordable even for the majority of its audience who are teens. For about $18, you’ll be able to harness the might of the Lost Longinus .N.Sp. for its reputation to topple advanced types of beyblades. It’s actually not bad for an outdated beyblade if that’s the case. 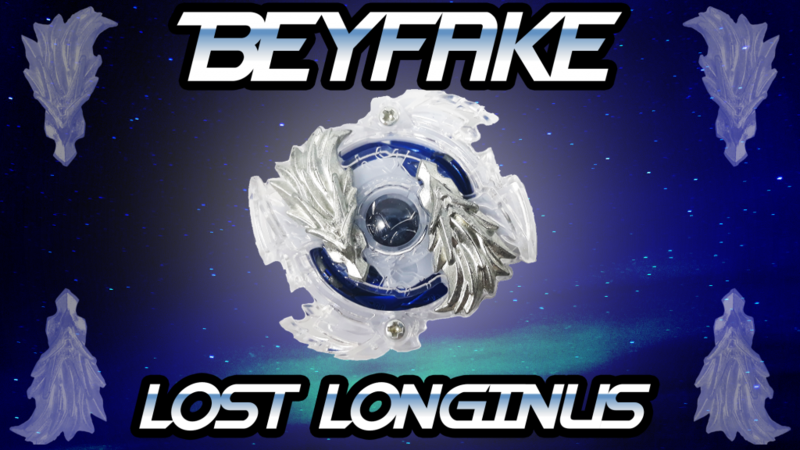 The fake Lost Longinus can also be easily detected as a knock-off with its price. 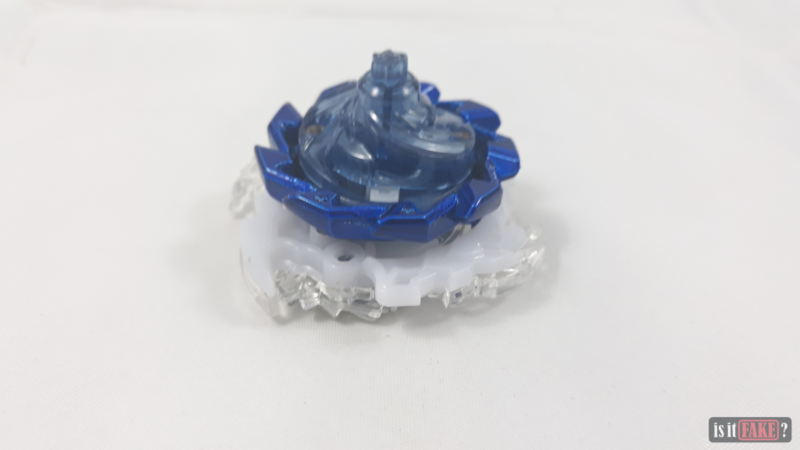 Sure, a $1.68 beyblade is definitely cheap but it comes with a setback of inferiority and an instant disqualification from tournaments which is a major reason why beyblades are still a hit. 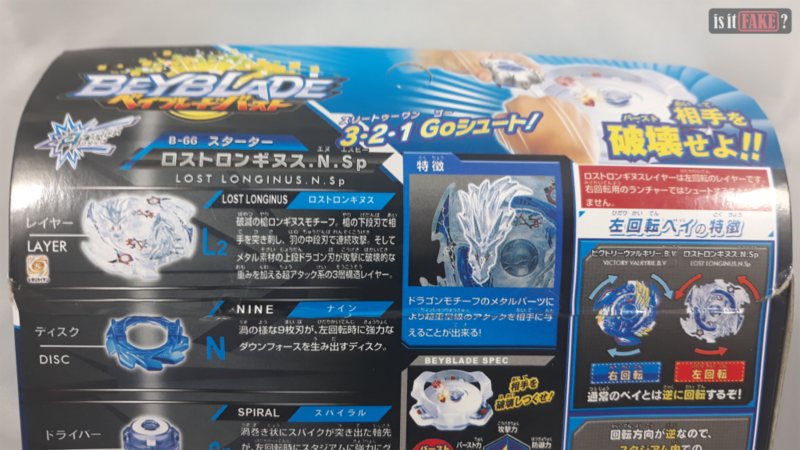 Regardless, Lost Longinus has long been succeeded by Nightmare Longinus and the latest Bloody Longinus 13 Jolt, and has definitely been overrun by these beyblades with advanced systems so it’s already difficult to find online. 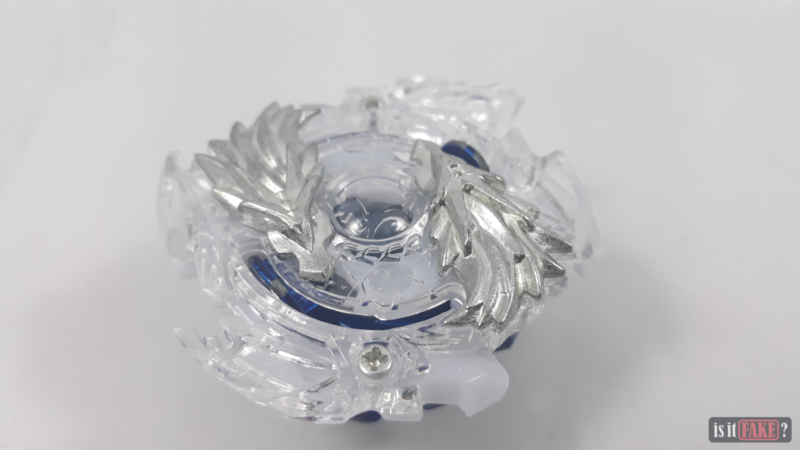 Moreso, Takara Tomy has already removed Lost Longinus from their website but we’ve found alternatives if you really want to pursue in using this beyblade. Coming from Amazon’s Choice is the B-66 Lost Longinus Nine Spiral. Even though we’re cautious about Amazon, there are definitely safe sources in this website and luckily, the Lost Longinus is under that recommendation. $18.63 is already a great deal for something that’s already out of stock from most online websites. 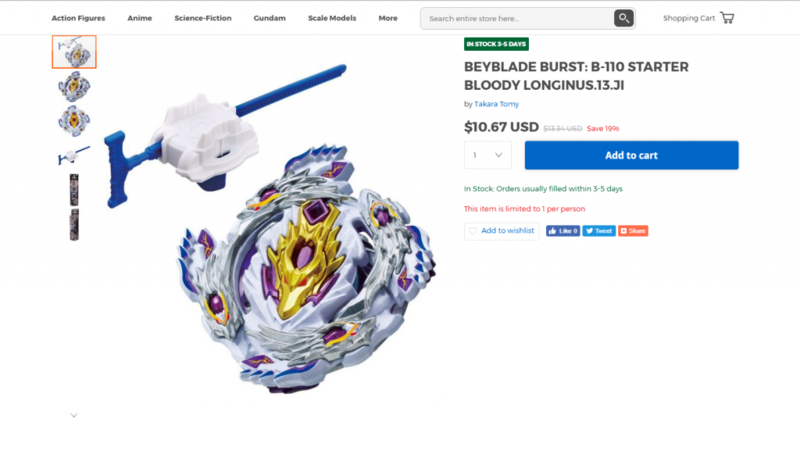 Though if you’re not necessarily looking for Lost Longinus and instead would consider the latest Beyblade Burst releases, then you’ll find B-110 Bloody Longinus 13 Jolt in HobbyLink Japan. For a much cheaper price, the Bloody Longinus is definitely a steal for approximately $10.67. 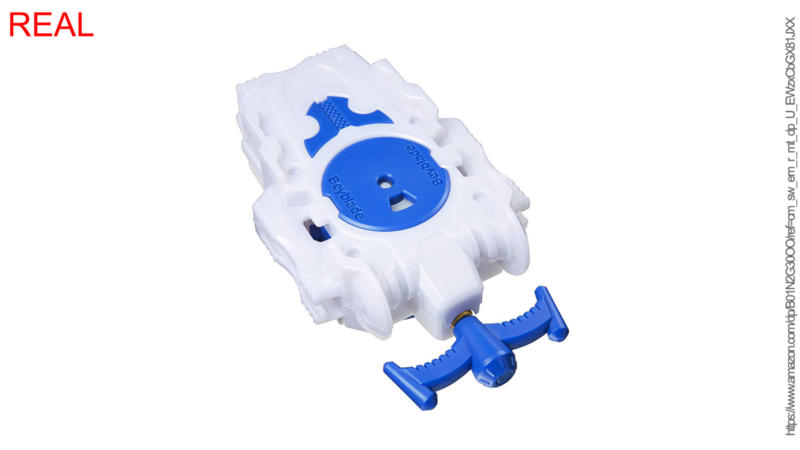 However, as we’ve said, each beyblade’s to its own and this one would perform differently from the Lost Longinus. It’s also good news since HobbyLink Japan can make deliveries worldwide like Amazon. However, we would still advise to take precaution whenever shopping in Amazon and we would recommend reading the review section first! There’s no doubt the fake Lost Longinus .N.Sp. would try to trick a lot of aspiring bladers with its similar qualities to the real one. Nevertheless, it’s still a fake and evidently, there are a lot of noticeable defects. The fake Lost Longinus’ attempt to be flashy gave away its true colors not to mention its faulty paint job. To add, its packaging is already screaming fake with its crappy presentation. 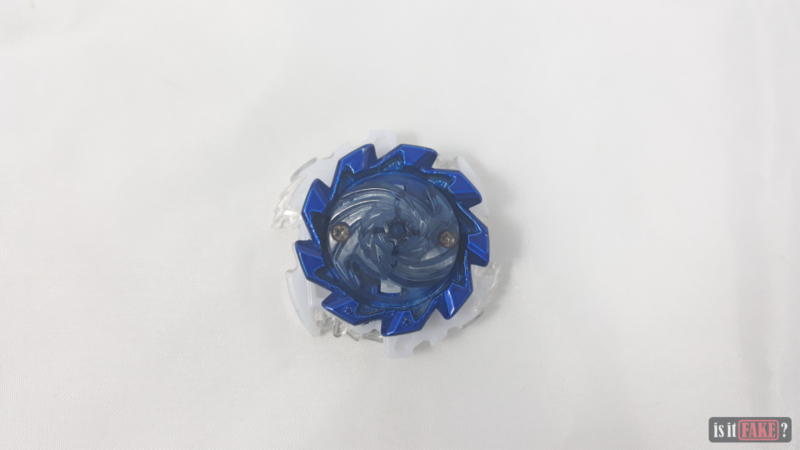 Last but not the least, it has a loose build and grip that deems it almost useless, and completely inferior to authentic beyblades. Clearly, we won’t hesitate to give this bootleg a 70% terrible rating.